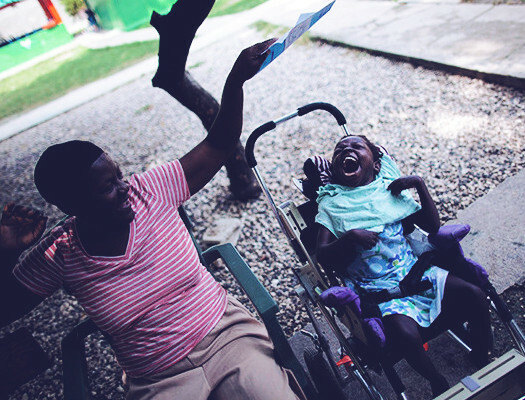 In the fall of 2012, my 9-year old daughter and I went to Haiti for a shoe drop with about 12 other soul servers. It just so happened to fall on the same week Hurricane Isaac wanted to visit. Our 5-day trip turned into an 11-day trip. But what an incredible trip it was. I instantly fell in love with the beauty of the country, the loving, happy people and the amazing children. Their faces were bright, beaming lights of love. I fell hard. I knew I’d be back and I knew I wanted to offer something that could help the earthquake-ravaged country. What I’ve done for the last 10 years is raise my three daughters and teach Pilates. There’s a magical healing when we move our bodies. My work’s focus is to teach women that a workout is about more than just her body, it’s about being present and available for our family, it’s about raising our vibration and tapping our joy, that will expand to our family, our community and beyond. "When we feel good, and raise the vibration of our body and mind by creating endorphins, it creates a ripple effect, not just in our home but also in our community and beyond." As a Pilates Instructor and a mother, I wanted to take the knowledge I’d gained and share it with as many women as possible. Why? Because in the last 10 years of solo parenting, moving my body has been my saving grace. I hit a point in my life that I was sick and tired of living in Blahville- I wanted out. At that point I made a commitment to myself to increase my movement practice. I committed to moving my body a minimum of 3 times per week, and it was life changing. I rediscovered my joy, I tapped my creativity and I was hopeful for what was to come. Think about it: When you’ve made the time to workout, haven’t you felt better for the rest of the day? Didn’t you have a more productive day at work or around the house, refrain from barking at your kids during the morning mad-dash to school plus send your hubby off with a smooch instead of a grunt? Most likely, yes. Today, I am committed to helping women find their strength in mind, body and soul. By offering Pilates via webcam, I can reach more women anywhere in the world in the convenience of their own home. In addition to building their physical and mental strength, each of my clients is an active participant in the development of a Mat Pilates teacher trainer course that I’m calling Pilates with Soul. 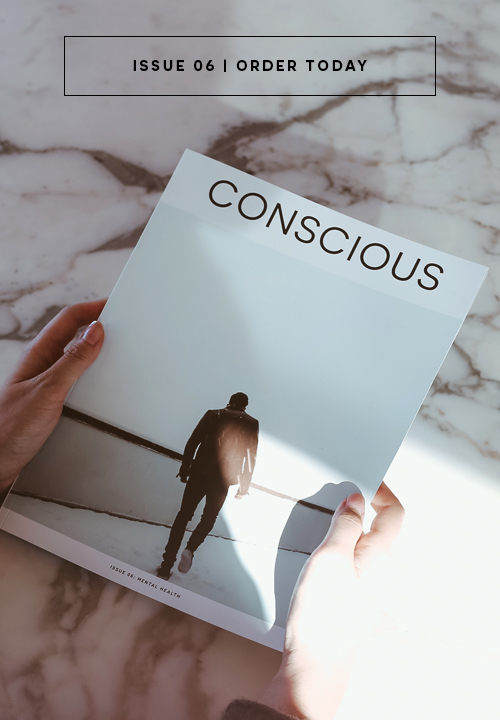 At Conscious, we are inspired by stories that cause us to think differently and think big-picture and so we set out to tell stories with the help of leaders and influencers in the social good community. You can read more stories like this when you subscribe. Natalie Garay is a solomamapreneur of 3 pre-teen daughters who believes that moving your body on a regular basis is the key to tapping your joy, your creativity and your true loving and giving nature. She strives to help mamas all around the world through her virtual Pilates and wellness courses on www.NatalieGaray.com. Her passion project, Pilates With Soul, is a humanitarian partnership with YWCA Haiti to bring Pilates to the women of Haiti.